Juice cleansing has been an ongoing diet trend where you strictly consume juices from fruit and veg, in an attempt to lose weight and detoxify the body. It differs from blending, with blending you are eating the whole fruit or veg, you consume: the juice, pulp and fibre. Juicing, on the other hand, involves squeezing the fruits and the vegetables and separating it from the pulp. Although juice cleansing may look enticing and an easy way to lose weight, is it really that good for you? What happens when you do juice cleansing? Whilst doing a juice cleanse, your blood glucose levels are likely to skyrocket. Fruits are a natural source of sugar, such as fructose. However, too much sugar, even if it’s natural, can still be unhealthy. This diet can be extremely dangerous for people with diabetes. And even if you do not have diabetes, sugar rushes can trigger dizziness, headaches, shaking, difficulty in concentrating and hunger. In addition to that, juicing will rob you of one of the most important benefits of eating fruits and vegetables daily, which is getting enough fibre. Fibre is important because it helps reduce blood sugar spikes, helps feed gut bacteria and improves metabolism. Juice cleansing can also sabotage your metabolism. Your body can go into starvation mode as it doesn’t understand why it’s not getting enough calories. Therefore your metabolism starts to slow down the breakdown of food into energy. Your body will also start to lose lean muscle mass due to lack of protein. Finally, since juice cleansing is restrictive in terms of what you consume, you may feel sluggish once the sugar rush wears off due to a lack of calories and a sugar slump. 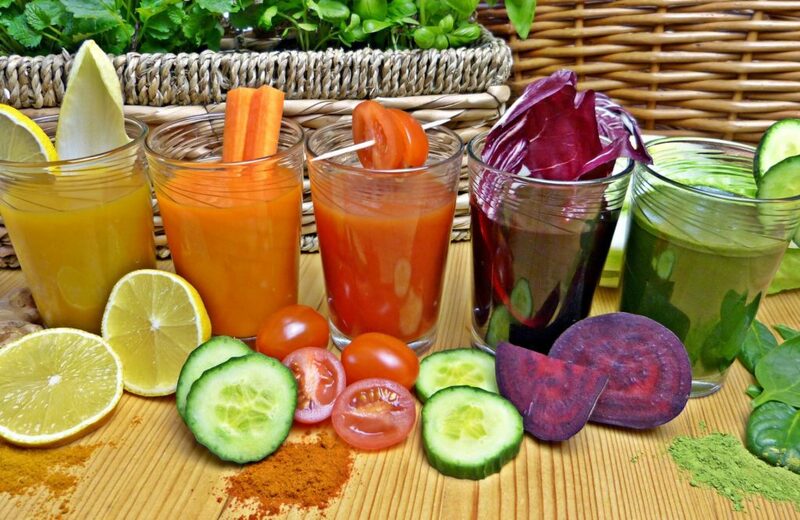 Detox juices may be good for you if your normal diet is full of processed food. It would therefore be a healthier option for a short period of time, as you would be consuming more greens, antioxidants and vitamins. Other than that, juice cleansing does not really offer a long-term solution for weight loss or wellness. Although many people may feel great when doing it, this could be a placebo affect as they believe that they are doing something to make themselves healthier. If you really love drinking juices then have them as part of a balanced diet. Experts still suggest that juice cleansing should only be a part of a healthy, balanced diet – not restrictive in nature. After all, being healthy should not just be restricting what you eat for 2 weeks or more, it should be something that is maintainable and a part of your lifestyle. I would love to know what some of your favourite juices are. Comment below and share your recipe ideas.